Today, we have an event hosted by nestGSV, called nestCON 1.2 towards a "connected everything" concept in human body, vehicles, and home environment. Here, I personally got a great impression from many SMBs' (I wouldn't say Startups, but they are experienced small / medium businesses) new concepts and trials compelling to the world of connectivity. This event consists of three items; Connected Body, Connected Vehicle, and Connected Home. I will quickly describe those briefly, and explain some showcases announced in this event. - Data Analytics: due to vast opportunities of sensing, there are huge amount of data being captured from the sensors. This makes significant amount of data processing, analysis, to get useful insights for human actions. Recent consumer hardware (wearables) are not quite ready to do such a streamed data processing on-demand, what the industries do is just transmitting them to the cloud. Cloud then does everything and push some important feedbacks to the target customer. ** Editorial comment: current major concerns of using them from customers' perspective is, all the sensing data are leaking from the customer to the other-side of the world called cloud, and it can be a major reason not to use such a great technology on their life. Note that, people don't want to be monitored by another big-brother, and it is also a relevant issue to the current PRISM project on US government. 2) Connected Vehicle: it is usually connecting experiences of driving with consumer electronics, like smartphones. 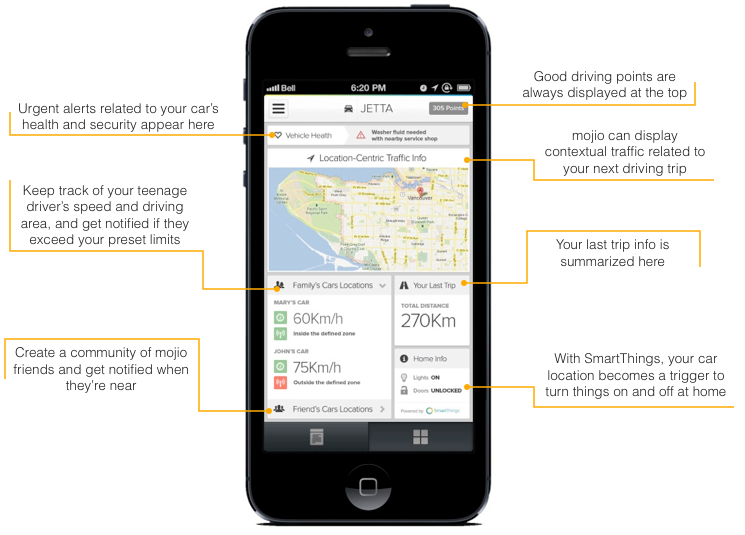 One interesting startup company is "moj.io" based in Vancouver, and they used a standardized interface on usual vehicles (scanner I/O interfaces) to have interoperability between external customer devices and the vehicle. - moj.io's value proposition: using standardized interface only used for diagnosis in the professional garages for providing context-aware, personalized, spontaneous opportunities. Also, they allow 3rd-party applications working with their equipment, so it has significant potential to grow rapidly in the near future. There are another companies including Knight Scope, and Scoot. Especially, Scoot is one of very interesting and collaborative project. 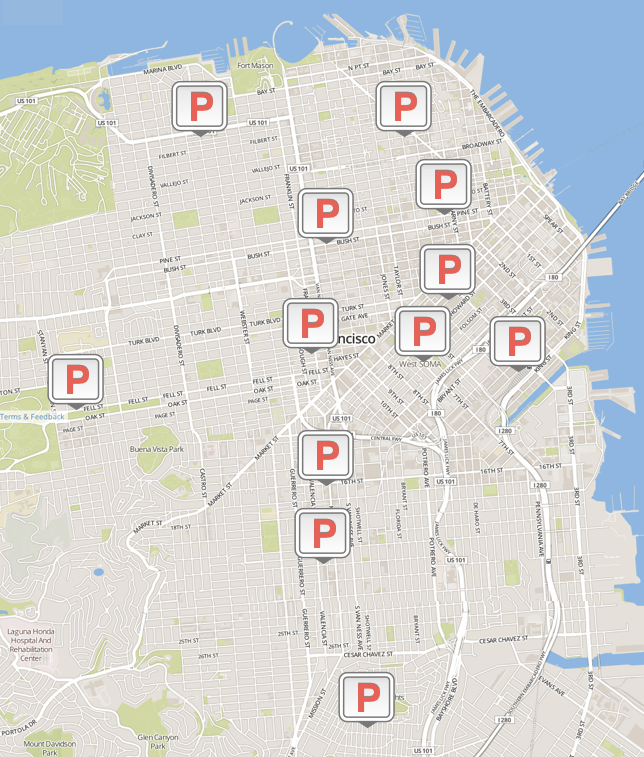 It finds out a niche market in SF-like metropolitan area, and the infrastructure made by SFMTA (SFpark's publicly open APIs), and provides a zip-car like scooter network in the downtown of SF. It is worth since it costs similar to buying and managing bike(s), and reasonably fast enough to get to the target destination in downtown area. 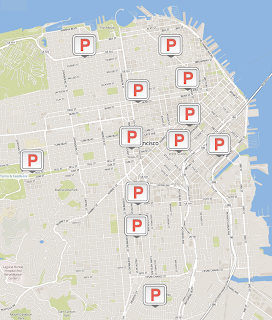 Figure 4 shows Scoot's availability in the SF area. ** Editorial comment: in terms of connected vehicle world, SF is the world-best place to kick-off startup companies, since SF itself has significant traffic, and even getting worse, but it's quite predictable. Also, SFMTA is currently interested in better transportation and parking services, so that it is the right time to pursue to change people's experience living in SF. I hope the other big cities (not only US, but also another countries) seriously benchmark them and build their master plan for their future of transportation. 3) Connected Home: it is usually related to providing better life experience on their home environment. First People Power presented their idea to connect things in home and indoor environment. Based on People Power's asset, several companies work for indoor connectivities. Ibis Networks is focusing better energy management in industrial buildings. By understanding the energy consumption on each power sockets and analysis of them, the systems drills down more energy-efficient building management and cut the electricity bill and make money. Third company is evermind, already received a Series A funding recently ($1.8M, May 2013). 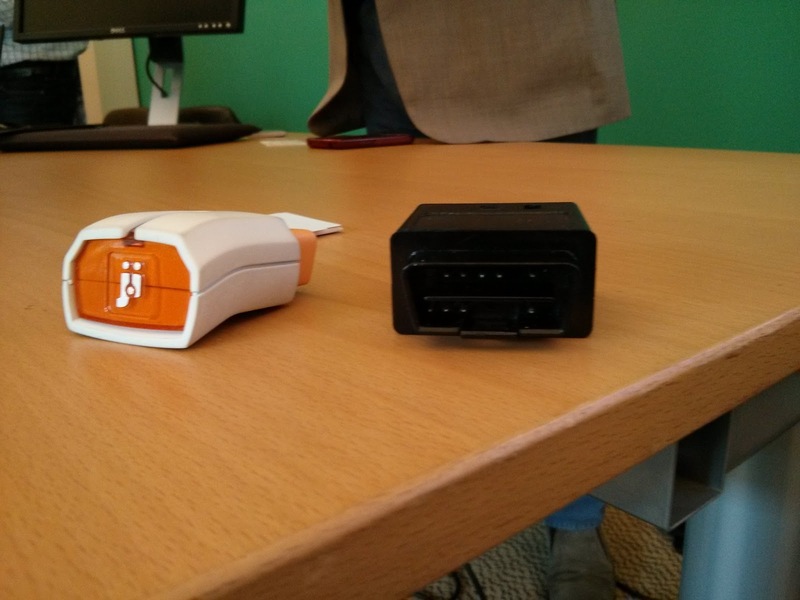 They presented a "power sensor" working between existing power socket interfaces and the electronic devices. By ambient awareness, people can monitor the current, statistical status, and more comprehensive analysis and monitoring is also possible. Also, there is a electric imp (presented by Kevin Fox), making anything to be IoT device, received $7.9M venture round funding in 2012. He also mentioned Lockitron (unlock your home with your smartphone), and Quirky (socially developing productization platform, received total $91.3M funding). ** Editorial comment: the common features on all the existing companies and businesses are "providing much easier to control various devices" and "increase energy efficiency of the device and/or environment" by connecting the devices together. One more way towards the better future will be providing an "automatic, closed-circuit feedback loop" among the devices, so that humans don't even need to engage with the environmental infrastructure. I personally want to thank nestGSV for this impressive event, and I hope this event could to connect not only the things, "but also hard working people" for win-win-win collaborations.